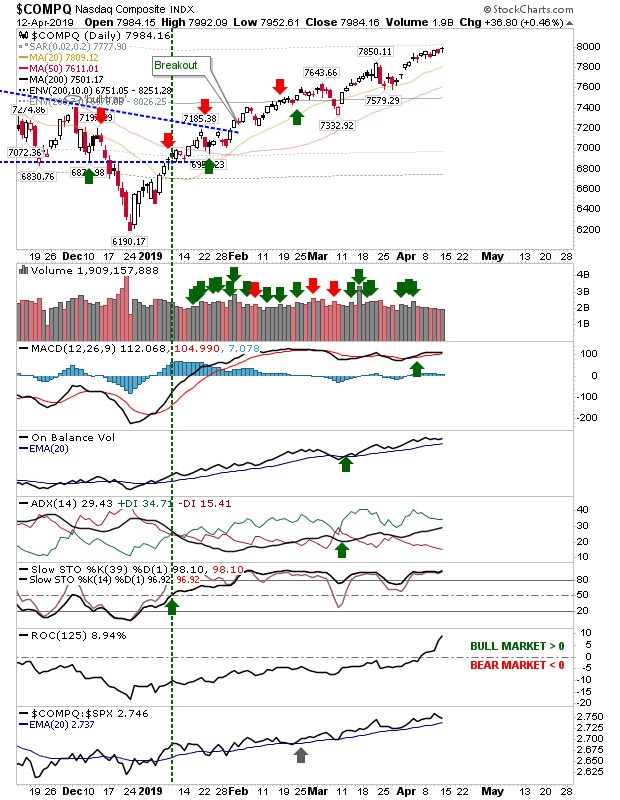 There wasn’t a whole lot to Friday’s action; Large Caps posted a small gap move break with Semiconductors managing a new all-time gap high. 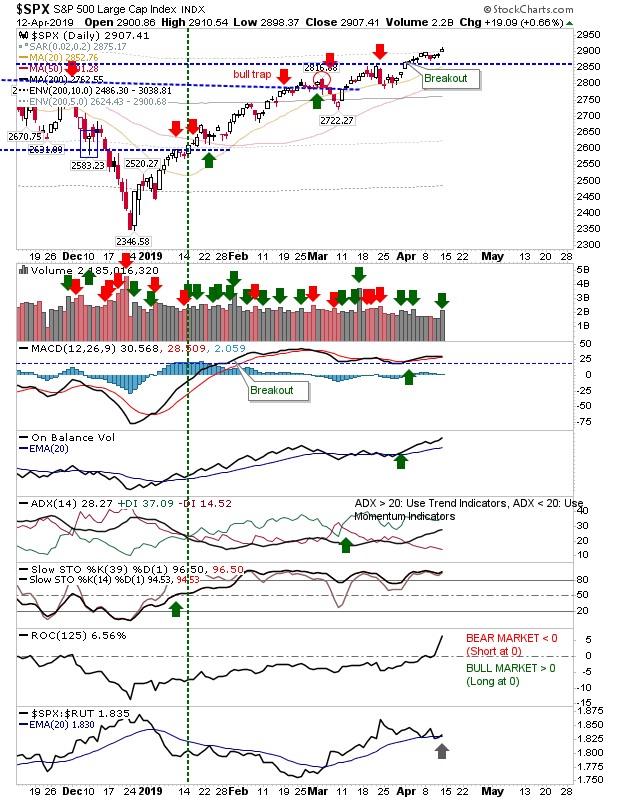 The gaps in the S&P(NYSEARCA:SPY) and Dow Jones(NYSEARCA:DIA) experienced relatively minor gains with higher volume accumulation, which was perhaps the best action from Friday. 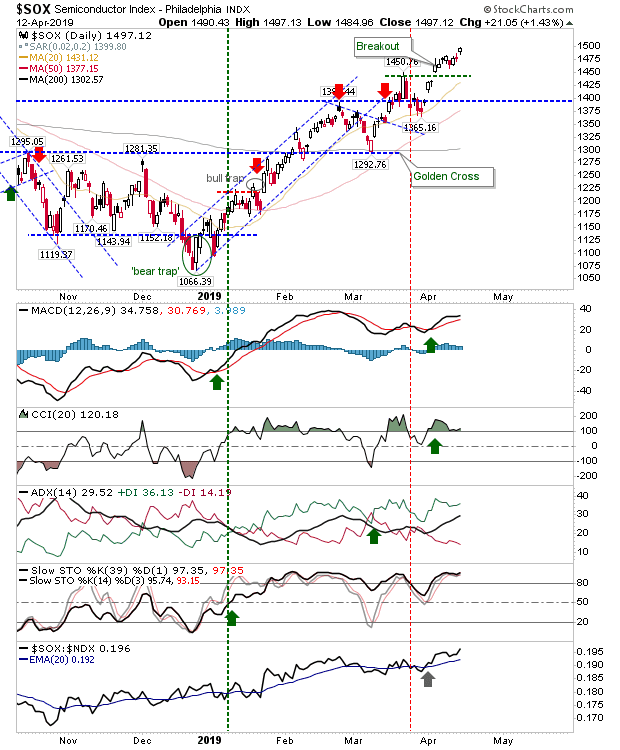 Russell 2000 (NYSEARCA:IWM) gains were minor but held above the 200-day MA. Aside from this there was little more to say on this. 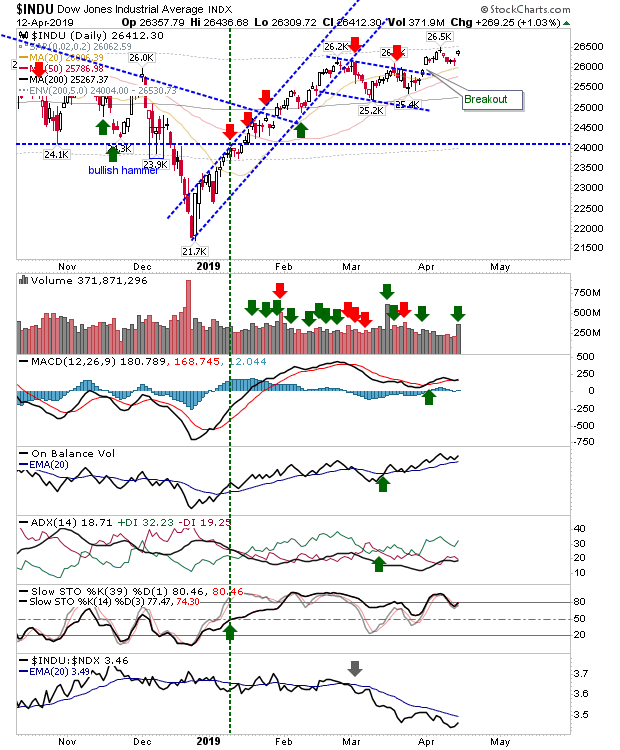 There wasn’t much to add for the Nasdaq(NYSEARCA:QQQ). 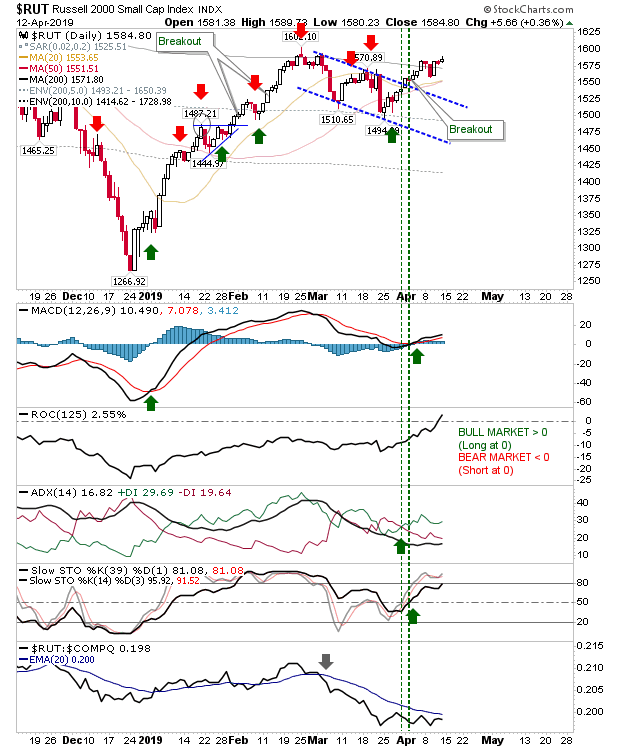 Technicals remain very strong with no bearish divergence of note to worry about.